Happy Thanksgiving to everyone, from our families to yours. 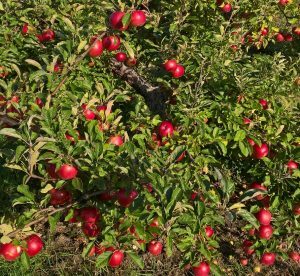 What is a better way to spend thanksgiving than spending a day with your family in our picturesque farm, picking fresh apples from our trees in such a beautiful fall-like weather. Let your kids roam around our fields and the trail while they enjoy the fresh air. Better yet, bake an apple pie/cake with our apples to share with your loved ones! Before winter set in, let’s go out and enjoy the weather. We have varieties that have become available this weekend for picking: Mutsu, Golden delicious and Snow. Varieties still available for picking are: Empire, Liberty, Cortland, Macoun, Spartan.